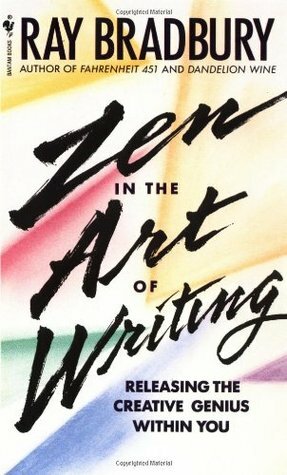 Zen in the Art of Writing is a must read for both aspiring and established writers alike. This collection of essays will not teach the basic building blocks of writing such as sentence structure and grammar, but something as equally as important, if not more so: the creative process. Ray Bradbury reveals his methods of finding inspiration, cultivating ideas, and maintaining the “muse” in this entertaining compilation. “Write what you know” is a well-known adage for a reason. Bradbury admits that his writings have been galvanized by his own life experiences and interests, which he uses to sculpt into new worlds, characters, and realities. Through this admission, Bradbury encourages the audience to look inwards for inspiration. Getting in the habit of writing consistently mandates that any serious writer must find and establish an effective creative process that will lead to a steady routine. The author talks about his own creative processes, and reveals that coming up with lists of words that interest him allows him to make connections to the stories locked up inside his head. When a word jumps out to him, it usually triggers a memory or an idea that he has surrounding the subject, creating a spark that brings the story to life. Often times many stories are being developed in the background by the writer’s “muse”-alternatively known as the subconscious. Bradbury insists that everything a writer experiences in life could potentially blossom into something artistically beautiful at a later date, regardless of whether or not an experience seems valuable in the moment. That being said, creative expressions born out of the muse are not to be forced, they are often balls of yarn that unravel themselves. In getting familiar with the muse, a writer will steadily begin to recognize when a story is beginning to formulate. For neophytes, the author provides comfort in regards to the initial struggles in finding a voice and niche in writing. Nascent authors tend to unintentionally imitate those that they admire, but in time the mimicry will fall away, leaving an authentic voice in its place. However, this can only be achieved through hard work in practice, Bradbury cautions. This collection is intended to provide a creative enthusiast with the tools necessary to tap into their creativity and establish a process that will keep them chugging along throughout their career. Learning the rules of language is easy, it is being able to articulate a thought, idea, or story that becomes the hard part. Bradbury tackles the struggles of writing beautifully, and offers incredibly insightful resolutions in this fantastic assembly of work.